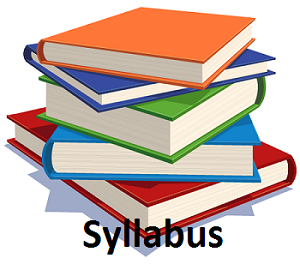 NMMC Syllabus 2018 PDF download is made available in the current page. The officials of the Navi Mumbai Municipal Corporation of Maharashtra is going to conduct the written examination on 13th October 2018 to 16th October 2018 for the contestants who applied for the available Firemen, Staff Nurse/ Nurse Midwifery, Driver, Auxiliary Nurse/ Midwifery, Surgery Assistant, Fire Station Praneta, E.C.J. Technician, Laboratory Technician, Blood Bank Technician, Fire station Centre Officer, Departmental Firemen Officer vacancies. From this article, you can get the precise information about the NMMC Exam Pattern with the NMMC Fireman, Staff Nurse Syllabus 2018 in PDF format. To begin the preparation for the exam check the whole article for the NMMC Syllabus 2018 and nmmc.gov.in Staff Nurse, Driver Exam Pattern. Below in this post, you can grab the subject wise topics with the link to download the NMMC Syllabus 2018 PDF. For the sake of candidates, we had given the topics and sub-topics on every subject in a precise manner. So applicants can start your preparation for the written exam with the help of subject wise NMMC Fireman, Staff Nurse Exam Syllabus 2018. Candidates have selected by conducting the two rounds of the selection process. That is the Written Exam and Interview. Aspirants who will clear the Written Exam with minimum marks those will shortlist for the next level of the selection process. Applicants more concentrate on the preparation for the written exam first with the help of NMMC Syllabus 2018 and NMMC Test Pattern. The given NMMC Fireman Syllabus 2018 is only for reference use our team members will update this page if any notification released by the officials of the Navi Mumbai Municipal Corporation of Maharashtra. While coming to the official recruitment notification NMMC is ready to recruit the candidates into the commission for Firemen, Staff Nurse/ Nurse Midwifery, Driver, Auxiliary Nurse/ Midwifery, Surgery Assistant, and various positions. Eligible aspirants those who are seeking for the latest govt jobs in Maharashtra State they can apply for the posts before the last date as per rules of the commission. NMMC Syllabus 2018 plays an essential role during the preparation process. Therefore, candidates who did more hard work for the preparation, they may gain eligible marks in the written test. So contenders don’t miss this opportunity and prepare well for the exam. And also participants need to check the NMMC Exam Pattern and NMMC Syllabus 2018 through this post. By collecting the NMMC Staff Nurse Syllabus and Exam Pattern, contenders can secure better marks in the exam. Check this web page and work hard for the preparation. Moreover, job seekers can share this page with the candidates who registered for Fireman, Staff Nurse vacancies. Applicants have to collect the complete NMMC Syllabus 2018 and start their exam preparation. Through this post, we have provided all the stuff regarding the NMMC Recruitment, NMMC Syllabus, exam pattern and previous papers. Keep in touch with our site to get more updated information about this recruitment. We know that the NMMC Syllabus 2018 will guide you the info about the subtopics which will be asked in the exam question paper. The applicant who wants to get qualify in the NMMC written exam they have to start their exam preparation now itself with the help of provided NMMC Syllabus 2018 form the below sections of this article. For more updates check on our web portal Sarkari Naukri.